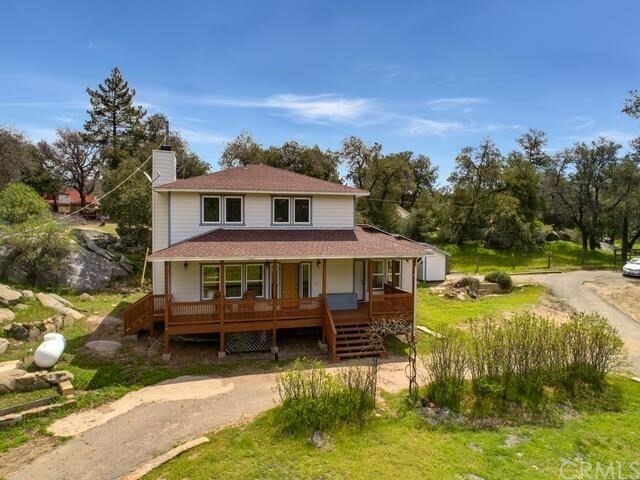 All Santa Ysabel homes currently listed for sale in Santa Ysabel as of 04/24/2019 are shown below. You can change the search criteria at any time by pressing the 'Change Search' button below. If you have any questions or you would like more information about any Santa Ysabel homes for sale or other Santa Ysabel real estate, please contact us and one of our knowledgeable Santa Ysabel REALTORS® would be pleased to assist you. 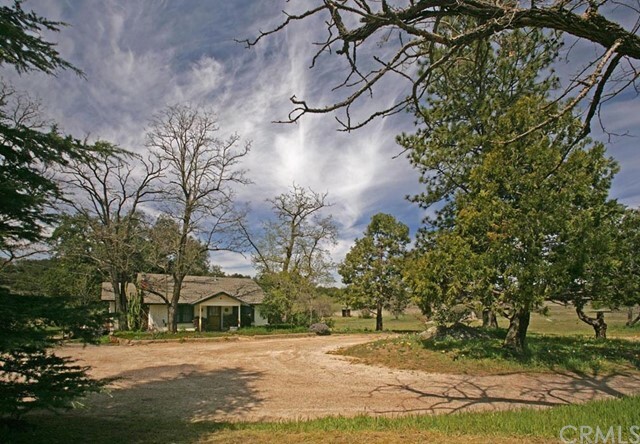 "Located near the center of Santa Ysabel, this extraordinary ranch house, named Crazy A Ranch is a remarkable 7000 home on a 82 acre estate. Custom built to take advantage of the gorgeous surrounding views from the deck, living room, dining room, game room and bedrooms. There is also a guest house, apartment, pond, creek, golf and a stable for your livestock. It's an absolutely picture perfect estate in the foothills of the Mesa Grande! Neighborhoods: Highway 79 Equipment: Dryer,Garage Door Opener, Washer Other Fees: 0 Sewer: Septic Installed Topography: LL"
"An impressive culmination of elegance, functionality and serenity define this exceptional 126 acre estate located on historic Mesa Grande. Extraordinary views extend to the ocean and capture the surrounding natural beauty that make this area one of the most highly sought-after backcountry locals. The 4609 esf, 4 bedroom, 4 and 1/2 bath home features a wealth of amenities, exquisite craftsmanship and an incredible integration of the natural elements with the living space. Neighborhoods: Mesa Grande Other Fees: 0 Sewer: Septic Installed"
"An impressive culmination of elegance, functionality and serenity define this exceptional 126 acre estate located on historic Mesa Grande. Extraordinary views extend to the ocean and capture the surrounding natural beauty that make this area one of the most highly sought-after backcountry locals. The 4609 esf, 4 bedroom, 4 and 1/2 bath home features a wealth of amenities, exquisite craftsmanship and an incredible integration of the natural elements with the living space. Expansive dual pane windows in the living area create a continuity between the breathtaking views and the home s interior. The grand, stone fireplace and soaring, wood beam ceilings make for a dramatic yet intimate setting in the main living area. The open floor plan and vast 1820sqft deck make this an extraordinary entertainer s delight! The lower level offers a huge, separate game room equipped with surround sound, kitchen and bath. Whether a tranquil retreat or full-time residence, this home captures the finest of San Diego s backcountry living. Property to convey fully furnished." "Located high atop historic Mesa Grande, one of the regions most coveted locales, lies this 80+/- acre property that holds a wealth of opportunity and utility. Currently home to a working ranch, this offering features extensive infrastructure that lends itself to a wealth of possibilities for growth, customization and enjoyment for generations to come. Located immediately off Mesa Grande Rd., the property invites you by way of a private road and gated entry. Beyond lies the 1000 esf. home, huge metal barn, outbuildings and expanse of its large acreage. Two potential home sites and helipad sit atop the highest vantage point of the property with extraordinary views. Beautifully groomed and accessible throughout, the property embodies all the beauty and serenity of its historic location. This rare and exceptional property must be seen to appreciate all that it has to offer." "Located high atop historic Mesa Grande, one of the regions most coveted locales, lies this 80+/- acre property that holds a wealth of opportunity and utility. Currently home to a working ranch, this offering features extensive infrastructure that lends itself to a wealth of possibilities for growth, customization and enjoyment for generations to come. Beautifully groomed and accessible throughout, the property embodies all the beauty and serenity of its historic location. Must see! 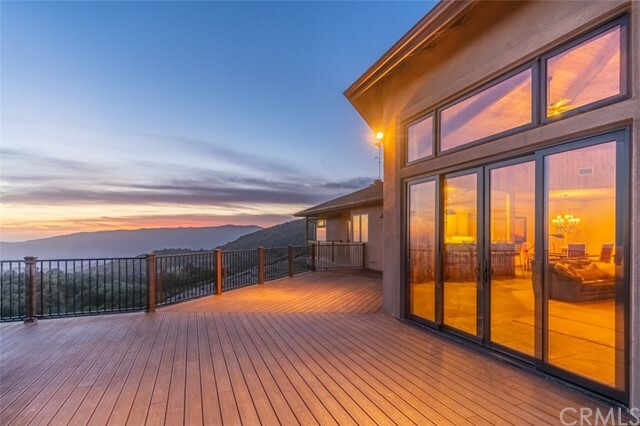 Neighborhoods: Mesa Grande Equipment: Shed(s) Other Fees: 0 Sewer: Septic Installed Topography: ,,LL,,RSLP,GSL,SSLP"
"A rare opportunity awaits at this remarkable hilltop home situated on 98.09 acres with extraordinary 360-degree panoramic views. Located atop Mesa Grande, this locale beckons those in search of beauty, privacy and serenity. Gated access welcomes you through and along a gently meandering road leading to this most impressive and exclusive destination. The inviting, Spanish inspired, single-story 1997 home with 2 bedrooms and 2 full baths is rich with unique custom design elements inspired by world travels. 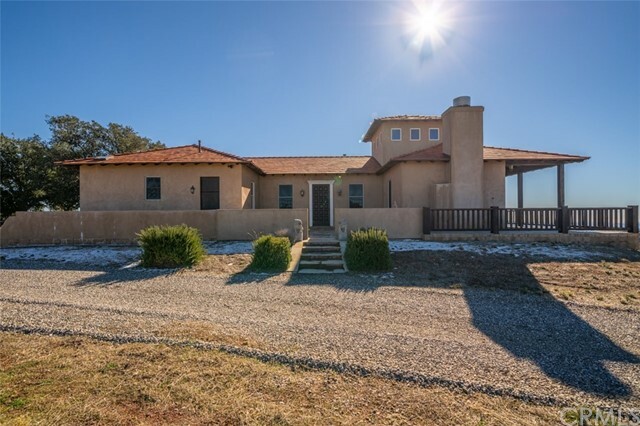 Neighborhoods: Mesa Grande Equipment: Fire Sprinklers, Shed(s), Water Filtration Other Fees: 0 Sewer: Septic Installed Topography: ,"
"A rare opportunity awaits at this remarkable hilltop home situated on 98.09 acres with extraordinary 360-degree panoramic views. Located atop Mesa Grande, this locale beckons those in search of beauty, privacy and serenity. Gated access welcomes you through and along a gently meandering road leading to this most impressive and exclusive destination. The inviting, Spanish inspired, single-story 1997 home with 3 bedrooms and 2 full baths is rich with unique custom design elements inspired by world travels. Rich wood accents, plentiful windows and an expansive terrace create a seamless living experience between the home and its natural setting. Breathtaking views encompass the surrounding mountains and valleys and extend to the coastline beyond. A terrace circles three sides of the house and provides excellent spaces for entertaining and enjoying stunning sunsets. The terrace connects to the sizeable detached garage with workshop, bonus room and half bath. Whether a weekend retreat or full-time residence, this off-the grid property offers privacy, tranquility and utility. Contact us to schedule your private showing." 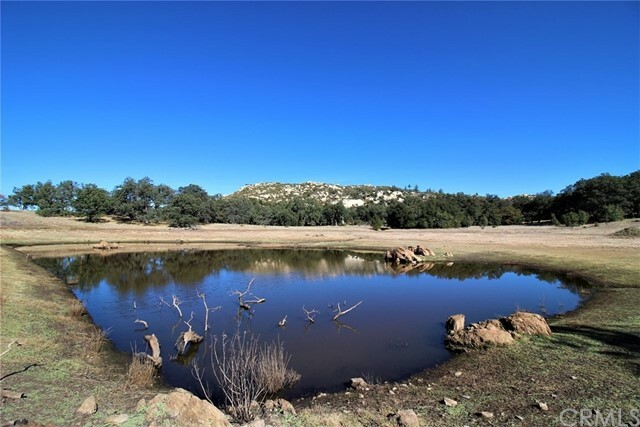 "Endless opportunity awaits at this stunning 80 acre ranch located in one of the most desirable backcountry communities in Southern California. This 80 acre park-like setting adjoins the Cleveland National Forest and offers incredible serenity and breathtaking views of Pamo Valley, Palomar Mountain, the historic Rancho Guejito and beyond. An immaculate 3 bedroom home, surrounded by seasonal wildflowers, welcomes you just beyond the gated entrance. Well established trails traverse the gently rolling hills throughout the property leading to a fishing pond, large rock outcroppings and a variety of spectacular vantage points. This rare offering awaits, with a wealth of possibilities, and must be seen in person to appreciate!" "Endless opportunity awaits at this stunning 80 acre ranch located in one of the most desirable backcountry communities in Southern California. This 80 acre park-like setting adjoins the Cleveland National Forest and offers incredible serenity and breathtaking views of Pamo Valley, Palomar Mountain, the historic Rancho Guejito and beyond. An immaculate 3 bedroom home, surrounded by seasonal wildflowers, welcomes you just beyond the gated entrance. 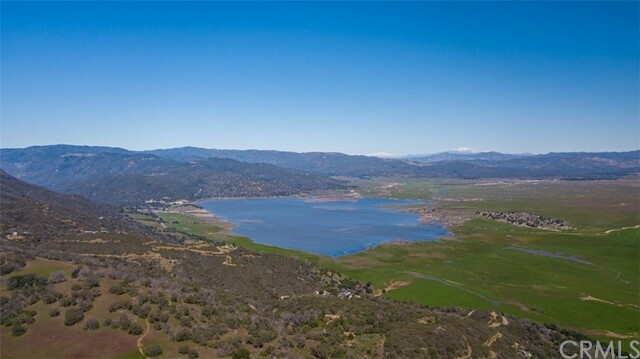 Neighborhoods: Mesa Grande Other Fees: 0 Sewer: Septic Installed Topography: LL,RSLP,"
"Beauty and utility define this 26.92-acre treasure, located in the heart of the county s apple, wine, and gold country. This delightful, vintage home lies in the community of Wynola; famous for apple pies, lilacs and an emerging food and music scene. Majestic oaks surround the 3 bed, 2 bath home, lending privacy, serenity and history. The natural beauty of the site makes it an exceptionally rare property, complete with gently rolling topography, 3 seasonal ponds and an additional potential home site. 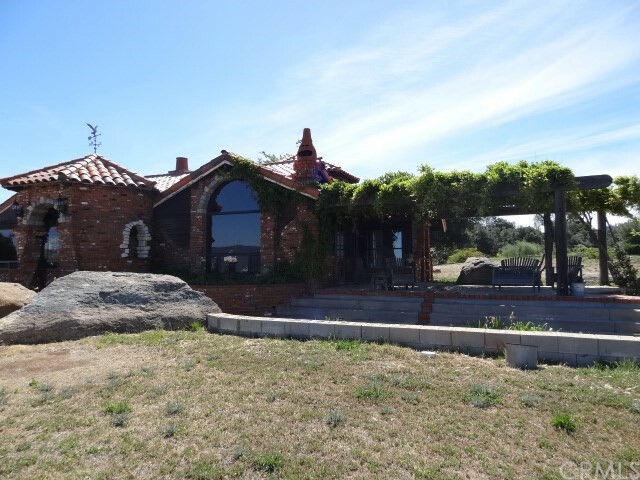 Neighborhoods: Wynola Other Fees: 0 Sewer: Septic Installed Topography: LL,RSLP"
"Beauty and utility define this 25+acre treasure, located in the heart of the county s apple, wine, and gold country. This delightful, vintage home lies in the community of Wynola; famous for apple pies, lilacs and an emerging food and music scene. Majestic oaks surround the 3 bed, 2 bath home, lending privacy, serenity and history. The natural beauty of the site makes it an exceptionally rare property, complete with gently rolling topography, 3 seasonal ponds and an additional potential home site. Located in the heart of this picturesque backcountry locale, an ideal meeting of convenience and privacy converge. Ideal for equestrian enthusiasts, vineyard, orchards or simply cultivating the existing natural beauty, this homesite presents extraordinary opportunity. Come explore all that awaits." "Diamond T Ranch has all of the necessary elements to practice a sustainable lifestyle, a gift worthy of passing on to future generations. Supplementing the two vertical water wells on the property is a large, relatively deep swimming pond/reservoir built into giant boulders. This beautiful water feature stores the water used to irrigate the farming operation. Two 12,000 gallon water storage tanks supplement the large reservoir. A wide range of fruit and vegetables are produced from plots and orchards on the ranch. In addition to the cultivation of crops, the ranch is ideal for a small domestic cattle operation on approximately 20 acres. The ranch is powered by public electricity. A sustainable supply of wood fuel is used as a supplemental heat source. Septic systems are installed for recycling sewage. Private wells on the property supply water for the ranch dwellings and livestock. The unique and artistic main home is approximately 1841 square feet with 2 bedrooms and an optional 3rd bedroom or den. A custom kitchen includes a walk-in pantry and fully functional fireplace complete with rotisserie and grill. The home has forced air heating and two fireplaces with internal heat ducts to rooms. Two custom bathrooms feature custom rock and wood work, slate floors, a Jacuzzi tub, and spacious walkin storage space and an inside stairway to the kitchen. Large patios with endless views can be accessed from both ends of the home." "Diamond T Ranch offers the opportunity to practice a sustainable lifestyle on 40 usable acres of beautiful ranch land, a gift worthy of passing on to future generations. Supplementing the two vertical water wells on the property is a large, relatively deep swimming pond/reservoir built into giant boulders. This beautiful water feature stores the water used to irrigate the farming operation. A wide range of fruit and vegetables are produced from plots and orchards on the ranch. Neighborhoods: Mesa Grande Equipment: Range/Oven, Shed(s) Other Fees: 0 Sewer: Septic Installed Topography: LL,RSLP"
"A rare offering and a true gem! Located in the lovely, desirable Mesa Grande, situated on its own little plateau, spans this incredible property with beautiful landscaping, consisting of approximately 6.8 usable acres with a beautifully remodeled 1,990 esf, 3 bd, 2 ba home; gorgeous, detached & remodeled artist studio; AND a large metal workshop and beautiful, contemporary style apartment! Neighborhoods: Mesa Grande Other Fees: 0 Sewer: Septic Installed Topography: LL,RSLP,"
"WYNOLA ESTATES A beautiful 2946 ft. 5BD/3.5BA home just a few miles to the historic town of Julian, CA. This home offers many amenities including on-site RV parking, 1600 sq. ft. attached garage/shop with bathroom and 220 volt, zoned HVAC systems, 5000 gallon rain catchment system, 1650 gallon grey water storage tank, Jacuzzi tub in master bedroom suite, fireplace in living room, separate laundry and dining room, eat-in breakfast area, and a reverse osmosis water system in the kitchen. Neighborhoods: Wynola Estates Equipment: Dryer,Garage Door Opener, Washer, Water Filtration Other Fees: 109 Sewer: Septic Installed"
"Charming Mountain Home. 2007 Build. This 2 story, 4 bedroom, 2.5 bath home sits on 2.31 useable acres. Quonset hut workshop with electrical. Solar system for electric installed to help reduce your electrical expenses. Chicken coop with fully caged run area. Utility and separate wood storage shed. Beautiful oaks and boulders are on and throughout property. Seasonal Creek. Historical Julian is within minutes. Lake Cuyamaca, Cayamaca Rancho State Park, Anza Borrego State Park, Volcan Mountain, and Santa Ysabel Preserve are close by destinations. Enjoy a simplified country life apart from the city." "This mountain home was built in 2003, is located in the Wynola Estates and sits on a 2.49 acre lot that has a seasonal creek and mature oak trees. You will be able to enjoy your quiet oasis in the mountains on the custom large deck 41x14 or beautiful front porch. This home is move in ready and has so much to offer. Tankless Water Heater, Wood Flooring, Vaulted Ceilings in the living area, Walk In Pantry, New Windows and Doors, Master Suite, Finished Garage and so much more! Neighborhoods: Wynola Estates Equipment: Garage Door Opener Other Fees: 0 Sewer: Septic Installed Topography: ,GSL"
"Live the good life in this beautiful Hallmark Manufactured home, located on over 5 acres! This 3 bedroom, 2 bath home has a gorgeous remodeled kitchen with granite counters with a center island. Vaulted ceilings, bright open floor plan with central heat & air. There is owned solar, along with a 40x45 metal shop equipped with automatic roll-up doors. There are 2 additional out building, both with power and one can be utilized as an art studio. Family orchard with mature fruit and nut trees as well! Neighborhoods: WYNOLA Other Fees: 0 Sewer: Septic Installed Topography: LL,GSL"